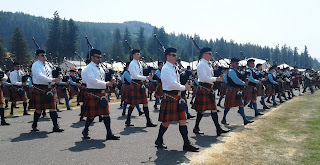 Four years ago almost to the date, I wrote a grumpy blog post about how my favorite northwest Celtic Fair had gone to utter pot and become unbearable due to a sudden, massive influx of attendees, a total lack of vendor vetting, and general degradation of standards and quality. Mr. Typist and I were so disappointed after the last time that we have stayed away from it for four years now. Warily, we went back over the weekend, and miracle of miracles! Its former glory and Celtic spirit has been restored. The vendors were selling authentic, quality goods again, the bands were fantastic, and the massing of the pipes and drums was a joy to behold. I left heat-wilted, sunburned and happy. That one year might have just been a fluke, but whatever the reason, I’m thrilled to have “my” little festival back. With all the unique and beautiful things that have been lost forever in the Northwest with the never-ending population explosion, it’s nice to know that this one survives…at least for now. I also hopped on Frankie’s Addi circular knitting machine, which I covet with my whole heart. 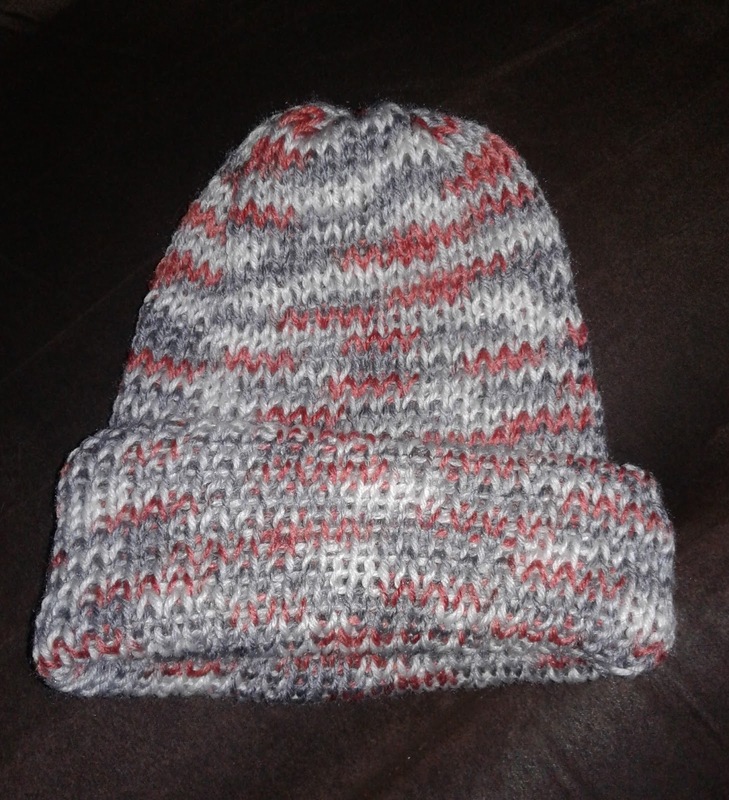 With her guidance, I made myself an awesome knit cap! I’m dreaming about the day it will cool down enough in Seattle for me to wear it. 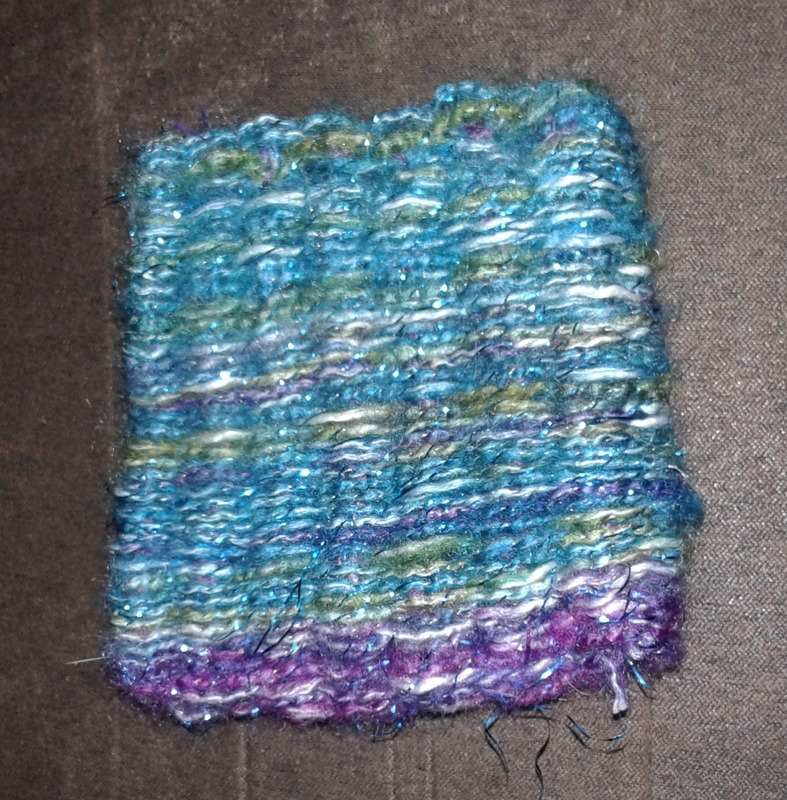 And, thanks to Frankie, I finally figured out why my woven pieces kept falling apart after I took them off of the loom. I didn’t realize that I was not tying them off correctly. 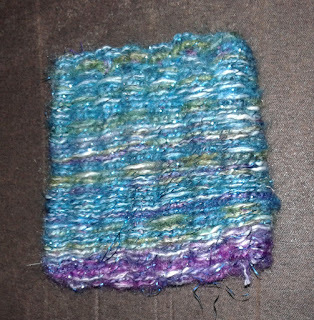 I was tying the fringe in the same rows as the weave, which means that it wasn’t actually “locking” the yarn. To be fair, there was a diagram explaining this this in the instruction book, but it was a little inscrutable if you aren’t used to reading crafting instructions. 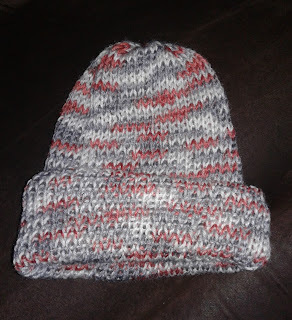 After about thirty seconds of Frankie’s eagle eye on my handiwork, she had it figured out, saving me from multiple future fails and a permanent rage-quit in which I would have ultimately dumped the entire loom into the garbage and crushed it under my size-ten orthopedic shoe. I know that crafting circles have made a huge comeback in the last few years, and I think that’s great thing. I don’t understand why they ever went away to begin with. Youtube instruction videos only get you so far. There was an old saying when I doing massage therapy and healing work back in the day: “Healing needs a witness.” I think this is true, and I also think that crafting needs a witness. The spirit of crafting is naturally given to companionship, sweet tea, and amiable chit-chat between friends on a slow, lazy, sprawling afternoon. It’s meditative and healing, and I for one am grateful for my rare days of crafting with friends.